How many of you reading this have already updated your iPhone to iOS 10? Well, we have, and here’s what we’ve discovered so far. A lot of it will affect marketers, so listen closely. 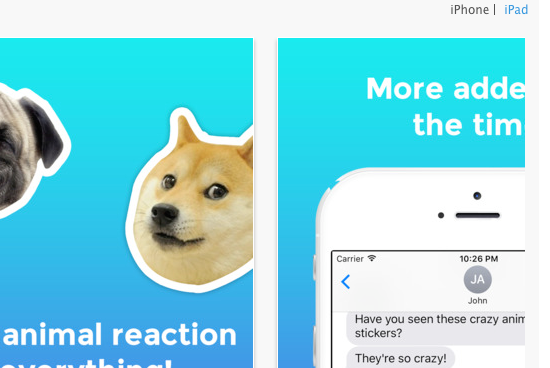 On a non-ecommerce note, stickers have arrived for iMessage. Maybe not strictly a "big thing" for ecommerce marketers, but we thought including a screenshot of this Shiba Inu would grab your attention. Were we right? Crazy is the word, John, crazy is the word. Anyway, without further a-do(ge), let’s get down to business. Here are four big things email marketers should know about Apple’s new iOS 10 (no animal stickers included. Promise). As this new unsubscribe banner is quite pronounced, it will inevitably push the body of your marketing messages down. Consequently, it’s worth making an extra effort to ensure the content positioned at the top of your email is extra engaging. So whilst the new unsubscribe link isn’t exactly music to our ears, email is still one of the most - if not the most - powerful marketing channel for retailers. Which is why we’re surprised to learn you can now delete the Apple mail app, along with other native Apple apps that used to be glued to your home screen no matter how many times you tried to delete them. 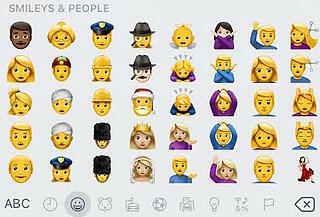 (In other words, your children can finally delete ‘Stocks’). 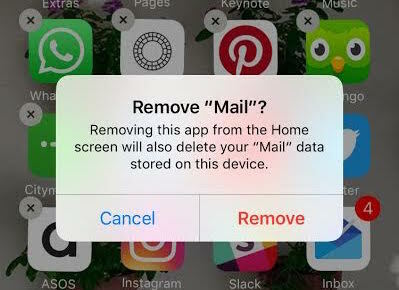 While there’s no saying the ability to delete native apps will have a huge impact on the diversity of mail apps used, keeping an eye on the device and email client that your database is using to open and click your emails is something that’s worth doing to pick up on any trends and issues. Apple revealed early on in the iOS 10 journey that non-responsive emails would no longer be auto-scaled, therefore making it more important for email designers themselves to make their emails responsive. According to aforementioned blogger Rémi Parmentier, who has been reporting his observations on this change on Github, the final versions of iOS includes bugs that could impact emails (including responsive ones) - making them look zoomed out or off-centered. As well as Parmentier’s proposed fixes, the Github list includes a response from Apple Mail engineer, Buzzert, who reassured readers this problem is being fixed. Apple scrapped support for the <video> tag in its mail app back in 2014, preventing ecommerce marketers from being able to have fun embedding videos in their newsletters. However, rumour has it Apple is bringing HTML5 video support back to its mobile app. Take note, however, that videos in Apple Mail can only play on a full screen. As web developer Rémi Parmentier points out in this blog post, with Safari 10 on iOS 10, Apple introduced a “playsinline” attribute enabling videos to play inline on an iPhone when silent or muted; however, doesn’t appear to be the case for Apple Mail. Now <video> is back in town, ecommerce marketers can start reconsidering how they can use this form of media within their emails. As video doesn’t work for older versions of iOS, it’s important to make sure video only appears to those using iOS 10 and future versions. Apple mail has become another email client not to support <iframe tags>. As highlighted in the Litmus blog, this is a shame as, whilst they have never been particularly popular in emails, <iframe> was a useful way for marketers to create advanced email campaigns and deliver dynamic content. As well as being one of the only email clients to support <iframe>, iOS has also always been unique for its support of position:fixed (where the viewport stays static whilst a page is scrolled). This is a shame, as it means many fun, interactive emails may now struggle to work. In other words, more subject line fun.